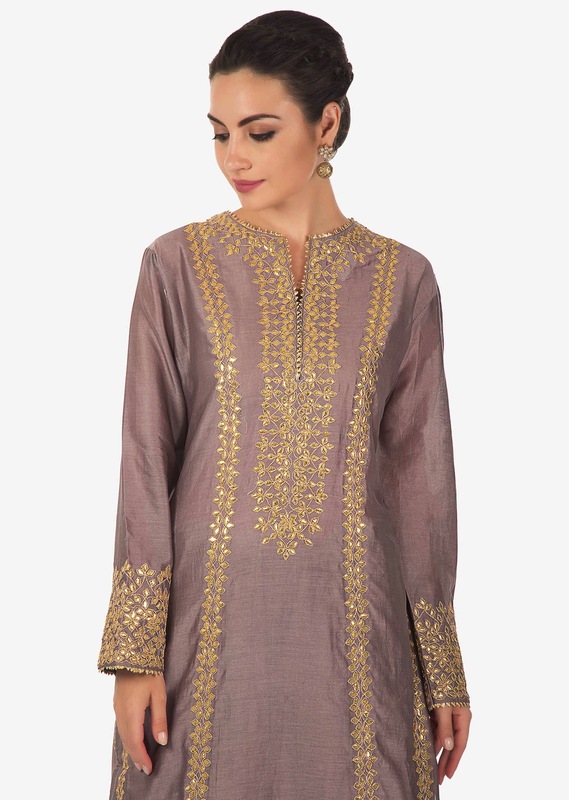 Dull grey A line suit featuring in cotton silk. 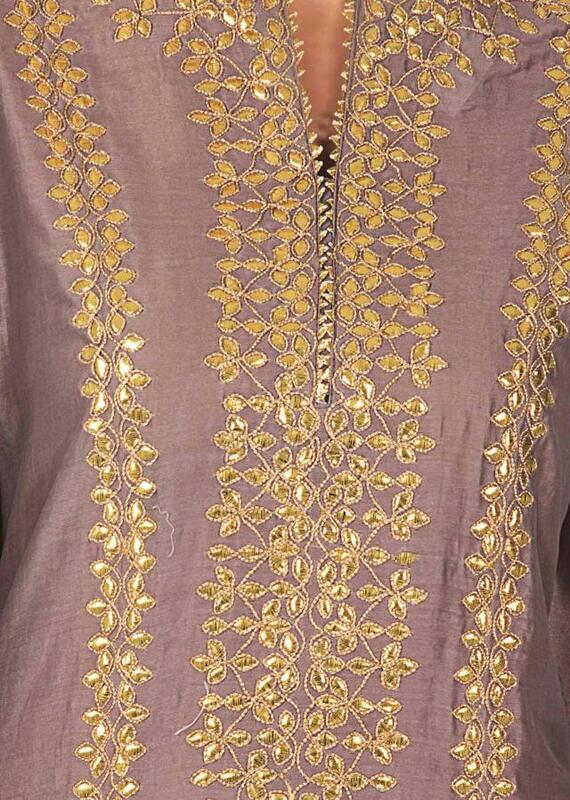 Placket and hem line are embroidered in gotta embroidery. Matched with salwar and cotton dupatta. Slight variation in color is possible.